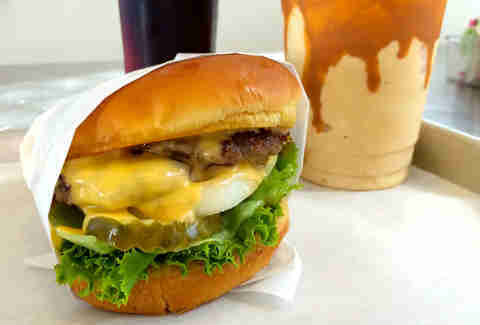 If you’re looking for a variety of burgers that will satisfy even the pickiest of eaters, look no further than The Grind. You’ll find classics, one-of-a-kind gourmet numbers, a veggie, and even a turkey burger. And the icing? Well, there is no literal icing (gross), but you can customize your bun & cheese selection, too. Giant Hamburgers does pretty much just that. It isn’t about fancy recipes or a ton of options, but it is about good-quality, sizable burgers and a simple, straightforward menu with super-reasonable prices. Not to mention you can get some pretty great pies there for dessert. Another example of the no-frills, perfectly delivered classic, Wally throws in some variety with its sauces (house-made ranch, Thousand Island, etc. ), which are surprisingly good. The best part? It delivers. 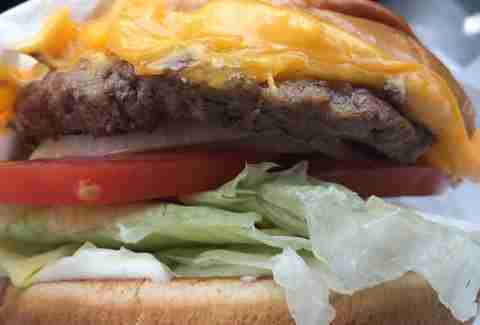 The Stand offers super-fast hamburgers, somehow without skimping on quality. 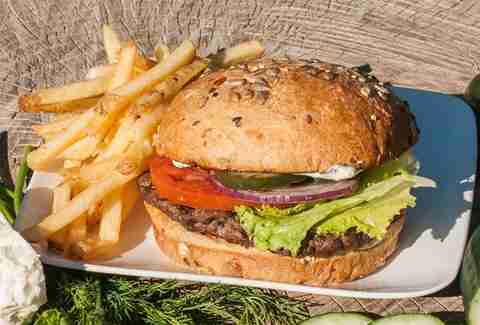 It uses never-frozen, hormone-free meat and locally grown ingredients to try and offer the best burger possible. While you’ll find its original brick & mortar in Phoenix, don’t be surprised if you’re lucky enough to come across its food truck, too. 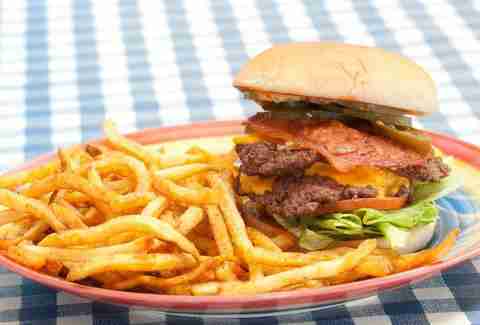 Looking for a burger joint with a conscience, and your health, and taste buds in mind? 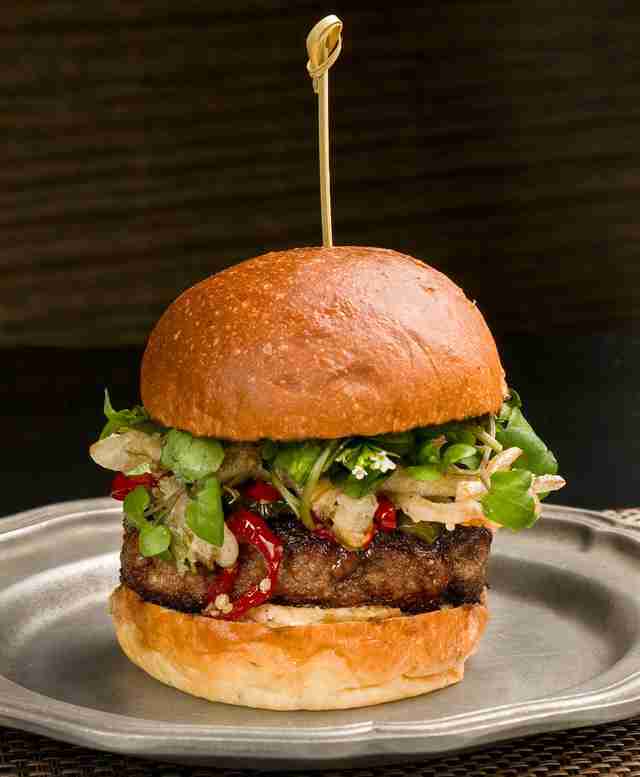 Check out Diablo Burger. Patties are made from 100% local, grass-fed, open range-raised, antibiotic-free, and growth hormone-free beef, and most ingredients are local. All this effort results in some pretty tasty, gorgeous burgers. Located in a repurposed gas station on historic highway 89A, you shouldn’t expect anything less than the best in old-fashioned burgers, fries, malts, and milkshakes from Bing’s. You customize your sandwich with a list of traditional toppings, the old-fashioned way, and if you really like it, you can "befriend" them on Facebook. 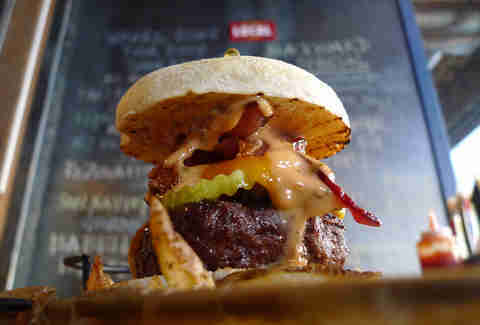 Self-described as "rough around the edges and funky," Mama Burger is a low-key restaurant with high-quality beefwiches. 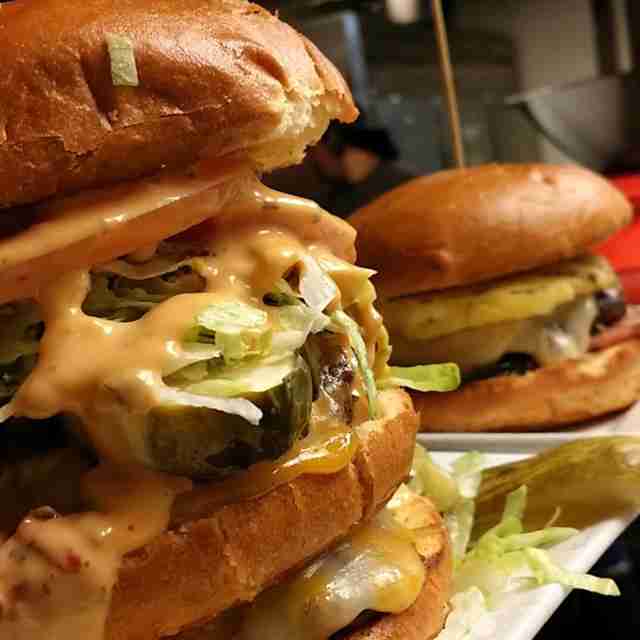 Its go-to number, the MOAB, throws two patties onto grilled onions, bacon, green chiles, jalos, pickles, cheddar, and French fries -- yes, there are fries in the burger. Joe’s Farm Grill is a Gilbert staple that’s been noticed nationally by the Food Network, and deservedly so. Known for its ability to make ordinary foods extraordinary, Joe’s takes your typical burger to the next level by using stuff grown right there on the farm, then making the freshest burger that's really possible. 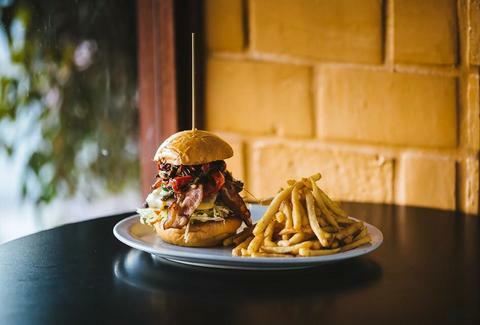 At Monkey, all 12 of its signature creations are made with one-third pound,. natural Angus beef patties. All of them. 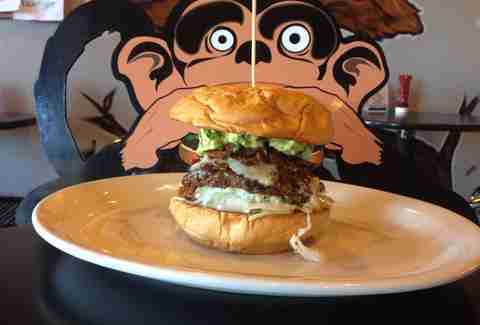 The Monkey itself then throws on both caramelized & raw onions, smoked cheddar & Swiss, and roasted poblanos). It’s hard to go wrong with that, but don’t forget to pair your burger with one of its gourmet fry selections, including diced bacon fries, green chile mayo, avo salsa, and more. Eighteen different burger options and the most creative pairings you could think of make Rehab Burger Therapy a solid-gold hit where the burgers are concerned. Among the 21 (!) different burgers available, the PBJ stands out with its unusual, yet delicious combo of peanut butter, grape jelly, bacon, and Sriracha.